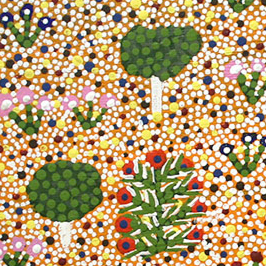 Sandra is an artist from the Ampilatwatja community in Central Australia. The community of Ampilatwtaja made a conscious decision not to paint 'altyerr' (Dreaming stories) but instead, paint their country where those stories originate from. Enter sizes in centimetres without the 'cm'. Example; for 90cm width, just enter 90.
to be sure that you find every artwork that might be suitable. Enter prices in whole dollars. Example; for $90.00, just enter 90.